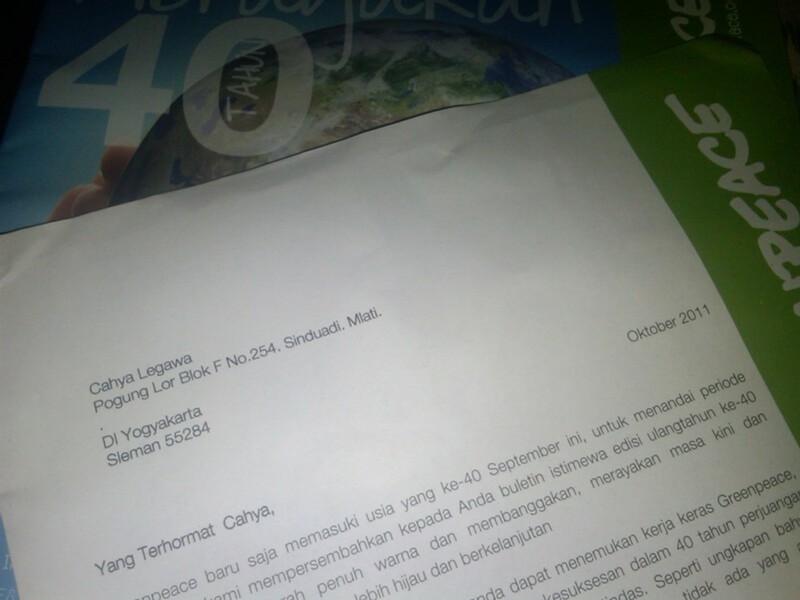 This morning a letter came to my hand, its from Southeast Asia Greenpeace. Well, I think for the last month issue about the 40th Greenpeace’s anniversary and campaign on reproducible energy sources. At least they still campaign to avoid using a nuclear energy. Our world become smaller, our population increases significantly, everything were just seems become some rare stuffs. Land, water, air and energy, become more and more expensive. Hmm…, I wonder if we still capable of sharing all those wisely, with our self, and all the living things.